Visitors either love or hate Shanghai. Many hate the flood of humanity and irritating traffic jams that come with being China’s largest city with 24 million residents. 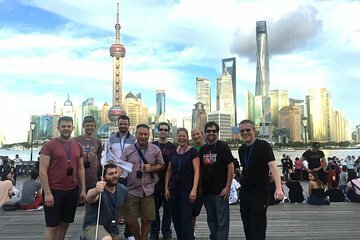 Others gush about the meandering Huangpu River that divides old and new Shanghai (pronounced Shang high). 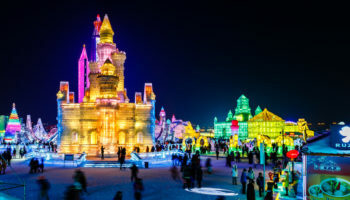 Still others rave about the innovative architecture as well as the fabulous museums and gardens that are among Shanghai’s top tourist attractions. 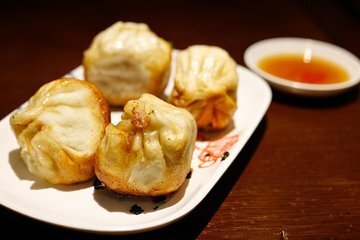 Some visitors pig out on the food – Shanghai’s cuisine is considered one of China’s top four cuisines. 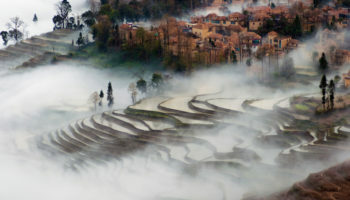 Yes, China’s financial capital, located on the Yangtze River Delta, is hustling and bustling but visitors also will find pockets of ancient culture and charm that make this city a winner. Songhai is world-famous for its acrobatic acts and what better place to see them than Shanghai Circus World. Visitors can see these amazing acrobats in daily performances of Insertion of Time, a show that is comparable to a Broadway musical. Agile acrobats perform feats ranging from traditional acrobatics to martial arts, all enhanced by music, lighting and sets. Shanghai Circus World also has its own circus, Happy Circus, that has everything from clowns to animals to acrobats. Happy Circus takes center stage on weekends and holidays. Shanghai Circus World has its own full-sized circus ring where international circuses also perform. Shanghai’s main airport, Pudong International Airport is located a fair distance from downtown Shanghai. Taking the Shanghai Maglev Train is the quickest way to get into town. Traveling at speeds up to 430 km/h (267 mph), the magnetic levitation train takes just eight minutes to make the 30-km (19-mile) journey to central Pudong. From there, visitors can transfer to the metro, bus or taxi to reach their final destination. When it was built in the early 2000s, it cost $1.2 billion to construct the maglev line. At that time it was the fasted commercial electric train in the world. 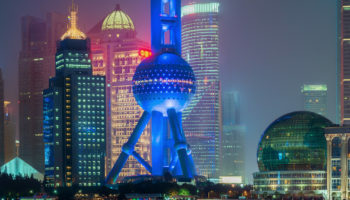 The Oriental Pearl Tower is a Shanghai landmark as it towers over the Huangpu River in Pudong New Area. At 468 meters (1,535 feet) tall, it was the highest building in Shanghai when it was built in the early 1990s. Looking like a cross between the Eiffel Tower and Seattle’s Space Needle, the world’s sixth largest radio and TV tower has 15 observation decks with a revolving restaurant at the 264-meter (867-foot) level. Eleven spheres are strung vertically through the tower, a scene that is suggestive of dragons playing with pearls. The glass floor of the outdoor viewing platform is probably one of the most thrilling attractions in Shanghai. Anyone visiting Shanghai must visit at least one water town to make their time there complete. Zhujiajiao, located in a Shanghai suburb, is one of the best preserved water towns in the area, despite being 1,700 years old. Visitors simply must take a cruise on the canal, boating under 35 ancient mostly stone bridges lined with old-fashioned houses. Perhaps the most famous bridge is the 1571 Fangsheng Bridge with its five openings and eight dragons surrounding a pearl. Visitors also won’t want to miss the short North Street that is lined with Ming and Qing dynasty buildings. Also worth a visit is Kezhi Garden, Zhujiajiao’s largest memorial garden. Tianzifang used to be a residential area in the French Concession. 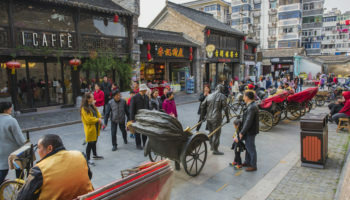 Today, it’s an art district similar to Beijing’s 798, It’s filled with boutiques where visitors can buy arts and crafts or just wander through looking at the traditional Chinese architecture. Located on a maze of alleys off Taikang Road, Tianzifang is filled with many small businesses that include art supply shops, trendy studios, galleries and coffee shops. The district is known for its legacy architecture with its traditional buildings. Tianzifang is a popular draw for yuppies; it’s not known as well in mainstream Shanghai, though that is changing. Paris has its Louvre, Amsterdam the Rijksmuseum and Shanghai has its own world-class museum in the Shanghai Museum. 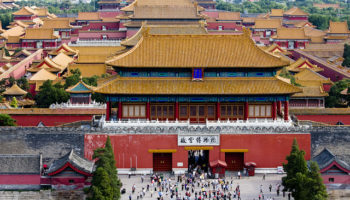 Located in a modern building on People’s Square, the Shanghai Museum has five floors containing the best in ancient Chinese history: old coins, priceless paintings and ceramics, intricately carved traditional lacquer furniture, and ancient bronze and jade artifacts. All told, the museum has more than 120,000 pieces divided among 11 galleries. Even the building itself is a work of art, with the round dome representing heaven and the square base, land. Best of all, the museum offers free admission to 8,000 people every day. Since Shanghai is a powerhouse in the global economy, it’s only fitting that it have its own world financial center. This financial center isn’t a stodgy old building, however; it’s an innovatively designed skyscraper that reaches 492 meters (1,614 feet) into the sky. The 101-story building is home to 20 multinational financial institutions, shopping malls and a major hotel. Visitors who suffer from acrophobia may want to pass on visiting the observation deck that’s located near the top of this amazing landmark. 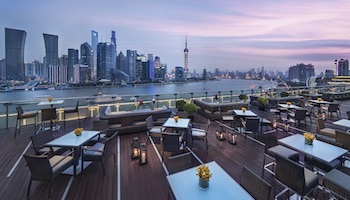 Those that make the elevator trip up will be rewarded with stunning views of Shanghai. Nanjing Road is THE shopping street in Shanghai. 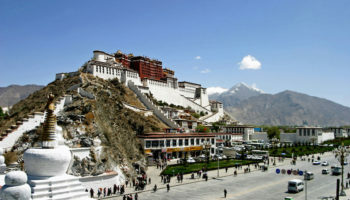 Indeed, it is one of the world’s largest and most famous attracting about a million shoppers a day. The road, created in 1845, is divided into East and West; the East section is the primary shopping area. 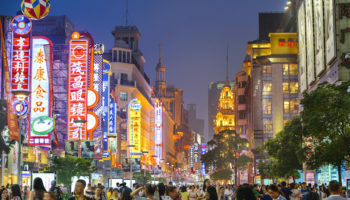 Where once it was lined with traditional Chinese stores selling daily necessities, today Nanjing Road is lined with upscale shops, restaurants and hotels. The eastern section is one long pedestrian mall, so shoppers don’t have to worry about being hit by cars. They should, however, be on the lookout for hawkers zooming along on lighted roller-skates. Yu Garden has been a Shanghai fixture since the 16th century when a Ming Dynasty official wanted to create a tranquil garden for his parents to spend their senior years. Today, it is one of the most famous classical gardens in China. Yu translates as pleasing and satisfying, a concept that is very relevant in today’s garden. The garden is filled with rockeries (the Great Rockery is at the entrance), halls, pavilions where visitors can rest tired feet, and ponds that ooze serenity. Pagodas and artistically arranged lush vegetation round out the picture. 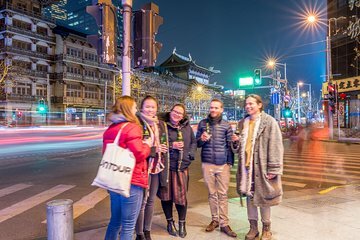 Strolling along The Bund is simply one of the things any visitor to Shanghai must do. Located on the west side of the Huangpu River, The Bund is one of the most famous tourist attractions in Shanghai. The Bund is flanked by old buildings representing various architectural styles, including Gothic, Romanesque and Renaissance. 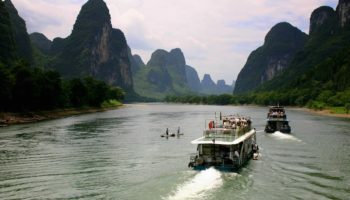 This is in contrast to the east side of the river where the skyline is filled with amazing skyscrapers that reach into the sky at dizzying heights. A good time to walk The Bund is night, when the skyscrapers are lit up like Christmas trees. Great post, shanghai is a nice place to travel and explore, i love that glass floor tower.